According to the U.S. Border Patrol, no less than 1,500 illegal migrants violate our southern border with Mexico every night. Dr. Steven Camarota, www.CIS.org, stated that an average of 500,000 illegal migrants cross into the USA annually. They arrive via legal visas that they disregard and remain in the USA to find jobs. They arrive as anchor baby mothers. They arrive as workers. An estimated 7 to 10,000 people from Central America rush our southern borders in an attempt to illegally cross into America for jobs and a better life. The entire world sends us 1,000,000 (million) legal refugees annually, and we absorb them via our U.S. Congress that can’t seem to see our country bursting at the seams with too many people already and another 100 million about to be imported over the next 30 years. The biggest draw for illegal immigration: jobs. This mass transit of humanity crossing our U.S. borders continues after 40 years. Why? Because our U.S. Congress refuses to pass the most powerful law to stop them: E-Verify. That law, strictly enforced, would stop employers from hiring illegal aliens in their workforce. However, Congress passed laws in the 1970’s, still on the books that state that anyone who hires, houses or transports illegal aliens faces a $2,000.00 fine for each illegal hired, transported or housed. And, up to five years in prison for hiring, transporting or housing an illegal alien. The legislative and the executive branches failed to enforce those laws for the past 40 years. (Please note the correct branches of government Ms. Alexandria Cortez, one of our newest House members that thinks the three branches of government are, “The presidency, Senate and House.” Dear God, yet another Maxine Waters in the House. Those two should be roommates as they share identical IQ’s.) Result: 22 to 23 million illegal aliens now call the United States their home. They’ve embedded themselves so deeply that nothing can dislodge them. They’ve created underground economies, separate barrios, separate languages and parallel societies in America. That money flies out of the USA while U.S. taxpayers foot the bill for those immigrants’ children K-12, food stamps, breakfasts & lunches, medical care and housing assistance. At the same time, Americans pay out $296 billion in tax dollars to support illegal immigration through 15 different federal agencies. Yet, former Republican Speaker of the House of Representatives, John Boehner of Ohio suppressed passage of E-Verify his entire tenure. Same with House Speaker Paul Ryan. Same with Nancy Pelosi. The same goes for Senate leader Mitch McConnell. In fact, every leader of the Senate and the House for the past 40 years squashed any bills that would have arrested, detained, and prosecuted employers who hired illegal aliens. They also squashed any bills to stop anchor babies by keeping them in committee. Those democrats and republicans serve other masters other than American citizens. All the while, our unemployment rolls swell into the millions while we pay for food stamps, housing and welfare. More immigration means more American workers live in poverty from very low wages and fewer opportunities. A whopping 44 million Americans subsist on food stamps. Another 90,000 homeless dwell in tent cities in Los Angeles in the state where a mind-numbing six million illegal aliens live. 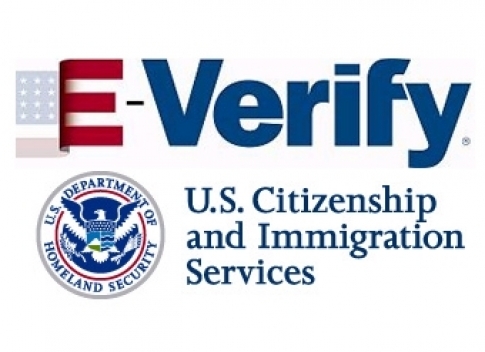 Why, pray tell, doesn’t Congress pass E-Verify? Why don’t they enforce the laws on the books? Why wouldn’t they enforce E-Verify if it passed into law? Answer: big corporate giants like McDonald’s; Chipotle’s, Tyson Chicken, Hormel Foods, Montford beef, Marriott Hotels, Holiday Inn, construction firms, landscape firms, and cities throughout America dictate to their Congressional critters by bribing, cajoling with election money, and greasing their palms with greenback dollars. In other words, our own leaders undermine the American working man and woman. Those same 535 scoundrels allow China to steal all our manufacturing jobs. They gave away our textiles, manufacturing, and car manufacturing to India, China, Mexico, and other cheap-labor countries. While men like Charles Schumer of New York give long-winded speeches about how he cherishes America, he takes his knife out and stabs every citizen in the back. While Nancy Pelosi and Diane Feinstein in California promise to serve Americans in their speeches, they take out the cutting board and hack up Americans’ jobs, quality of life and standard of living in favor of illegal aliens. While Paul Ryan of Wisconsin looks nice and promises to support the American worker, he squashed, suppressed and destroyed E-Verify every year he served as Speaker of the House of Representatives of the United States of America. And, like a bunch of sheep to the slaughter, Americans vote those folks back into office decade after decade. Why aren’t there term limits to stop this betrayal of the American people? Answer: once those people gain power, they never want to give it up. Congress will never vote for term limits. All the while, you and I face a harsh future paying for unemployment, food stamps, homeless, 18-year wars that cost us $5.9 trillion and growing fragmenting of our country. By 2042, the Pew Research Center states that American Blacks and Whites will become the new minority at 49 percent in our own country, which will be dominated by Mexicans at 51 percent. All brought to you by endless legal and illegal immigration condoned and supported by our U.S. Senate and House of Representatives. Why don’t you give your two state senators and House member today and thank them so much for screwing you and your family? Why are globalists actively working to exterminate 90% of the human race?